To facilitate the freshly passed out graduates and diploma holders in engineering technology for acquiring practical training in Industries / Organizations and thus to make them more employable. To create skilled technical manpower for the nation by utilising the training facilities available in Industries / Organizations to the maximum possible extent for imparting quality training to the apprentices. In pursuance of the recommendations of the Scientific Manpower Committee made about five decades ago, the erstwhile Ministry of Education, Government of India, initiated a ‘Practical Training Stipendiary Scheme” with the object of providing Practical Training to the fresh Engineering Graduates and Diploma Holders in Engineering. This scheme was directly administered by the Ministry of Education, Government of India at New Delhi, initially under the scheme, the industries/establishments, which took part on a voluntary basis, were requested to share the cost of stipend payable to the Apprentices equally. As the response from the Industries/Establishments to the scheme was quite encouraging and the demand of training from the needed candidates was equally increasing, the scheme was decentralized for administration of the same to its four Regional offices. 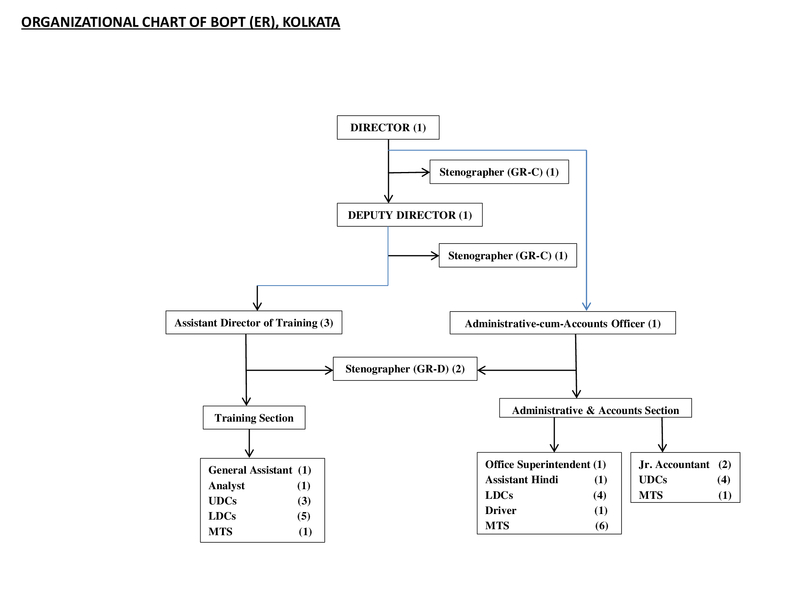 As the demand for training increased quite alarmingly the Government of India set up four Regional Boards of Apprenticeship/Practical Training at Kolkata, Chennai, Kanpur, and Mumbai in the year 1968 as ‘Autonomous Bodies having representations from the industrial associations and organizations, State Government and other professional bodies. Thus the Administration of the scheme was vested with these Boards with the sole object of functioning independently to provide apprenticeship training to the fresh engineering graduates/technician apprentices under the provisions of the Apprentices Act, 1961 as amended in 1973. The Act has once again amended in 1986 to bring the products of 10+2 Vocational/Junior College/Intermediate pass outs students under the provisions of the Apprentices Act. These new categories of apprentices are termed as Technician (Vocational) Apprentices. These four Regional Boards are authorized agencies to implement the National Scheme of Apprenticeship Training in their respective regions. To fulfill/match, any gap, in so far as the practical/ hands on experience of fresh graduate engineers, diploma holders and +2 vocational pass outs are concerned which they do not acquire during their regular studies under normal practice. To establish liaison between the industries and technical institutions to improve the quality of technical education and develop the human resource for the industries. To secure facilities for training in different establishments, both Private and Public sector organizations for the products of technical institutions. To arrange for dissemination of information of various aspects of practical training through lectures, films and other media of communications. 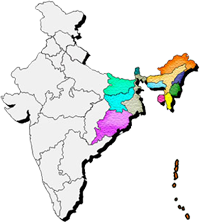 States: Orissa, Assam, Bihar, Jharkhand, West Bengal, Manipur, Meghalaya, Mizoram, Nagaland, Arunachal Pradesh, Tripura, Sikkim. Union Territories:Andaman & Nicobar Islands.